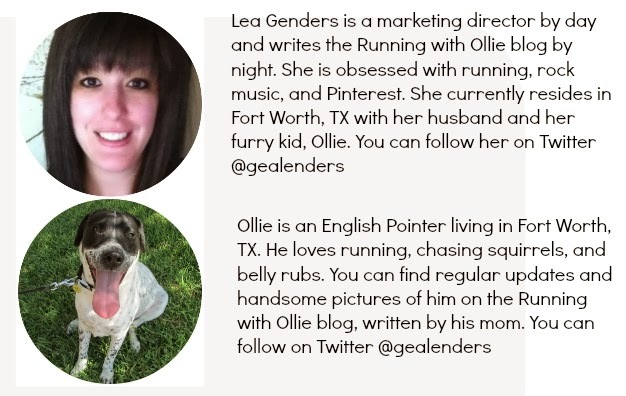 Welcome to the final day of the Running with Ollie blog DOG WEEK! It's been one great week. I was in San Diego enjoying the sun and surf, and in an attempt to keep you entertained while I was away, I've been sharing daily Furry Futures. There were so many great running dogs (and their humans) featured this week. This was probably the cutest week in Running with Ollie history! I hope you've been following along and enjoying dog week. If you've missed any, you can catch up on Furry Features here. 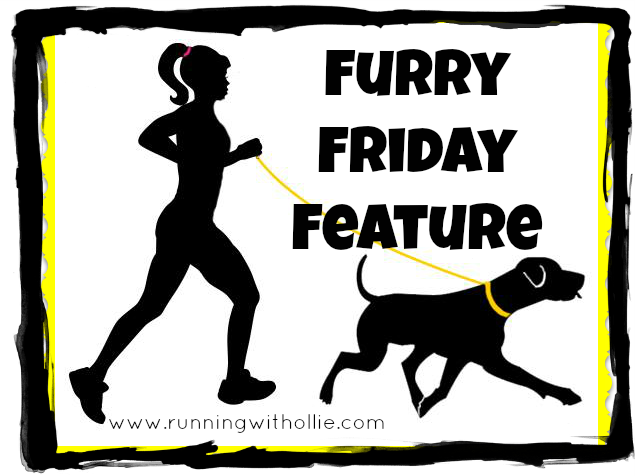 Although today is last day of dog week, I'll continue to do monthly Friday Furry Features, so stay tuned for more four-legged furry running partners. 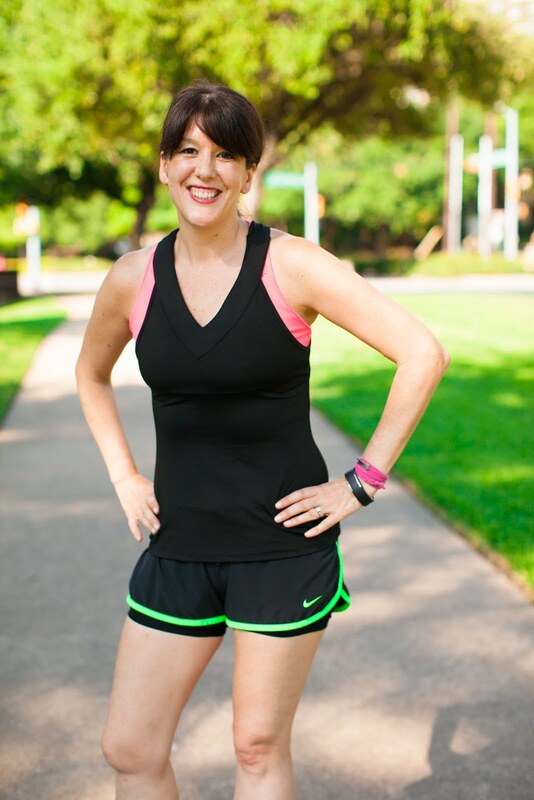 Hi, Adriana, Tell us a little bit about your favorite running partner. Her name is JayJay. She is a black lab we (hubby and I) rescued last year after having to put down her sister Anise. We run around the trails at home. Yes. 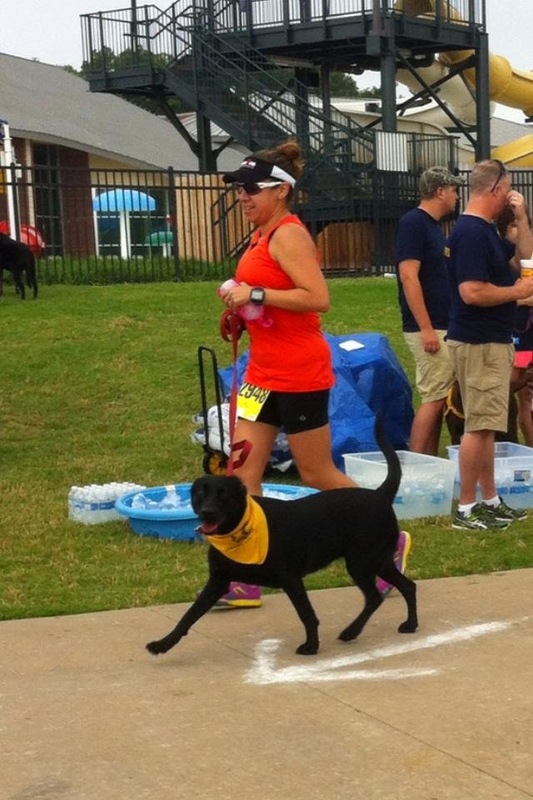 We have done Friends of the River 4mile run and the DFW lab rescue 5K twice. Running in general. I don't come from a working out background. Starting to run was painful and started motivated to run with Anise a few years ago. 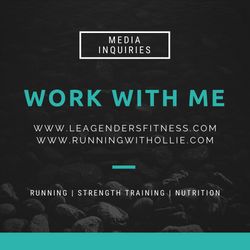 Now have completed multiples 5k, 10k, 3x13.1, 3x70.3 (Tri) and 2x140.6. With a few sprint and Olympic distances in between. So I'm proud of accomplishing all that. Pacing is important. JayJay will want to go all out and I have to push her back to pace her so I don't have to drag her home after 4 or 5 miles of running. It is the same with running you have to pace yourself so you can always finish strong. Have you missed any furry faces? 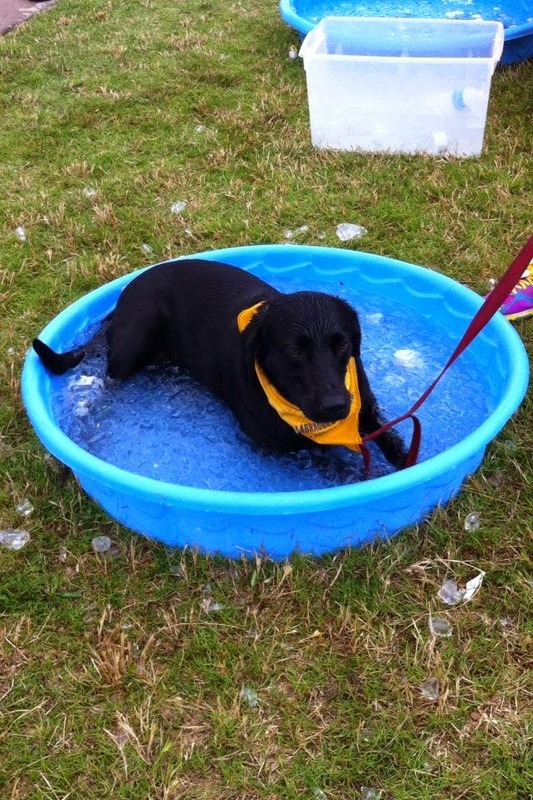 You can get caught up on Dog Week Furry Features here.